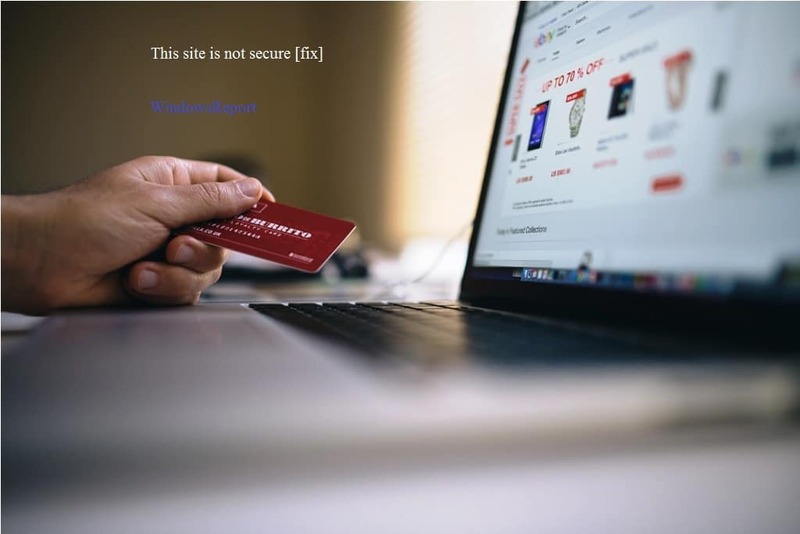 If you keep on getting the error message “This site is not secure” or “This page is not secure” coming up in Opera, Internet Explorer, Microsoft Edge, Mozilla Firefox or Google Chrome on your Windows PC, we have a few solutions for you. Due to security reasons, whenever the safety of the blocked website is compromised you may get the message “The site is not secure” or DLG_FLAGS_SEC_CERT_CN_INVALID. 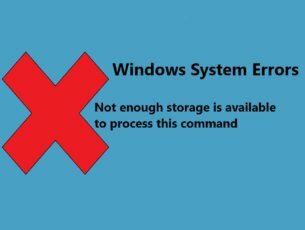 It comes up on any version of Windows, but Windows 10 users are most frequently complaining about this bug currently. 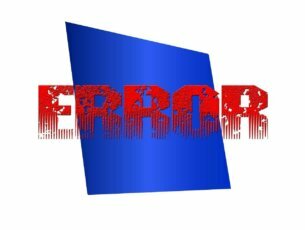 This error may also occur due to missing trusted root certificate or because the website contains malicious ads, codes, and links. However, you may proceed by clicking on the “Go on to the website (Not Recommended)” button if you have visited the website before and your web browser did not block it. The error may range from “This page is not secure” or “This website is not secure” which refers to the same thing. In order to solve this intimidating problem, we have compiled universal solutions to fix it in various web browsers such as Microsoft Edge, Google Chrome, Mozilla Firefox, Opera, and Internet Explorer. Ignoring this warning may expose your PC to malware. Use the workarounds listed below at your own risk. When the “This site is not secure” or “This page is not secure” error pops up, click on the ‘Continue to this website (not recommended)’ option at the very bottom of it. Click on the “More Information” for the Certificate Error option next to the red Address Bar. Then, click View Certificates on the information window. Hence, select “Install Certificate” and follow the on-screen instructions. Finally, click “Yes” on the dialog to proceed. NOTE: Manual installation of certificates is not recommended on strange websites or websites with low reputation. Furthermore, manually installing the certificate should fix the “This site is not secure error” pop-up. Select the start button and go to Control Panel. Then Open Internet Options and click Advanced tab at the top. 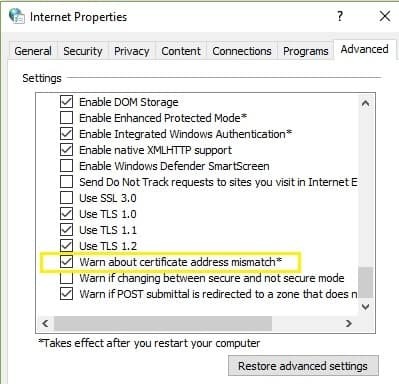 Identify the “Warn about certificate address mismatch” option. If the box right beside it is checked with a tick, you can unmark it to disable the option. Click Apply and OK to save the changes and close everything. If the error persists, proceed to the next solution. This error may pop up due to web browser cache issues. 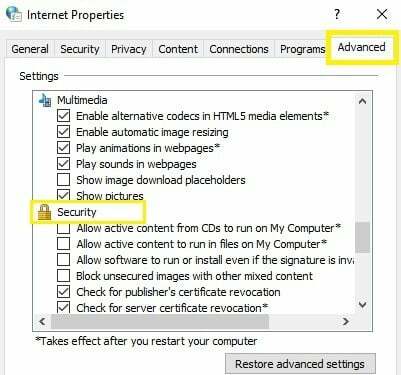 In order to clear your web browser’s cache, history and data, follow these steps for each web browser. Select “Menu” > “Settings” > “Advanced” > “Clear browsing data”. 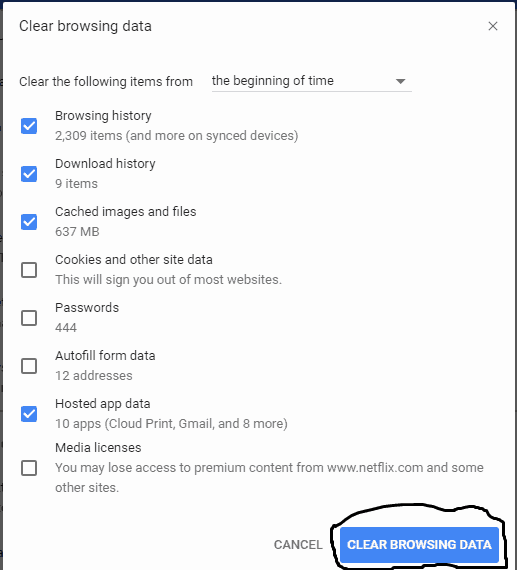 Using the “Clear the following items” menu you can select “the beginning of time” to delete all the cached information using the drop down menu. From there, you can select “Cached images and files”. Select the “Clear browsing data” button, and Chrome will clear your cache. Another quick way to clear browsing data in Google Chrome is to a keyboard shortcut: Press “CTRL” + “Shift” + “Delete” keys in Windows or Linux, or “Command” + “Shift” + “Delete” keys on MacOS. Clearing the browsing data and cache should fix the error “this site is not secure” problem in Google Chrome. Microsoft Internet Explorer is the foremost web browser pre-installed on most Windows computers’; in order to clear the cache; you need to do so from the Delete Browsing History menu. On the right hand side of the browser, click on the gear icon which is also called the Tools icon, followed by Safety, and finally delete browsing history. In the Delete Browsing History window that appears, uncheck all options except the one labelled Temporary Internet files and website files. Then, click the “Delete” button at the bottom of the window. 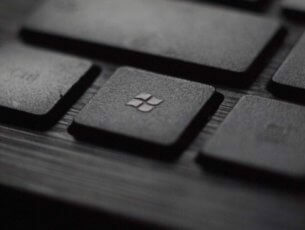 The Delete Browsing History window will disappear and your mouse icon might go busy for a while. Note: For Internet Explorer lower versions, if the Menu bar is enabled, click “Tools” menu and then delete browsing history. Keyboard shortcut “Ctrl-Shift-Del” can be used as well to clear browser cache. The cache is often referred to as the temporary internet files. This fix should help your access website with the error “this site is not secure”. Then, click the “Hub” icon. Proceed by clicking the link “Clear all history”. Check data and files tick box. Clearing the browsing date and cache can remove the “this site is not secure” error message. You can also use the Ctrl+Shift+Del keyboard shortcut to clear all browsing history. 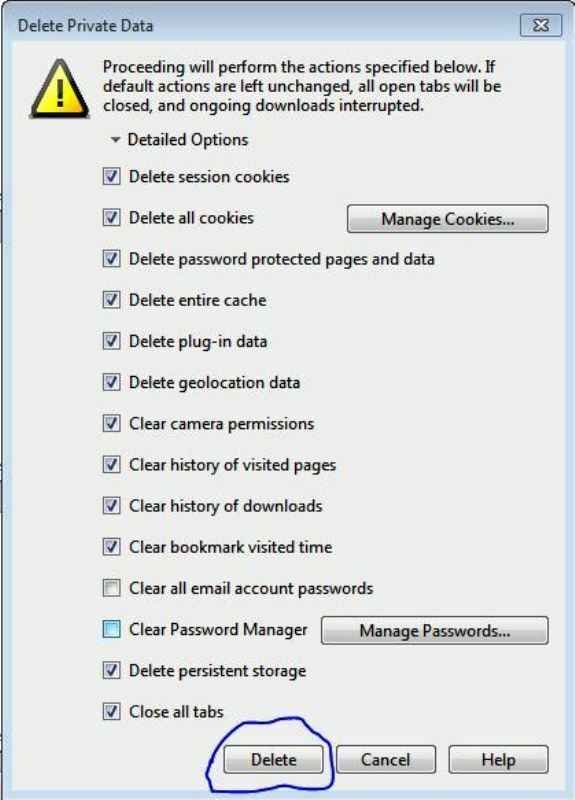 In Mozilla’s Firefox browser, you clear the cache from the Clear All History area in the browser‘s Options. Click the “Menu” button known as the “hamburger button” i.e. the one with three horizontal lines) and then select Options. While the “Options” window is open, click on the Privacy tab on the left. Then, in the “History” area, click the clear your recent history link. In the Clear Recent History window that appears, set the Time range to clear: to Everything. Uncheck everything in the list except for Cache. Proceed by clicking on the “Clear Now” button. The fastest way to clear the cache in Mozilla Firefox is by using the “Ctrl+Shift+Del” keyboard shortcut. Set the time range to “Everything” so as to ensure that all the cache is cleared. Hence, “the site is not secure” error is resolved in Mozilla Firefox. Click on the “detailed option” to tick the “delete the entire cache” option. Click on the “Delete” option to clear the entire browsing data. Note: For detailed instructions on how to clear the cache in Opera, check out their official documentation. The fastest way to Clear browsing data in all the web browsers listed above is via the Ctrl+Shift+Del keyboard shortcut. Also, you can use a good utility program like CCleaner to clear all your browsing history in one click. The solutions listed above will fix the “This site is not secure” error on any Windows PC. If the error “This site is not secure DLG_FLAGS_SEC_CERT_CN_INVALID” still persists on the website, it is advisable that you do not attempt to visit the website. You can also contact the site administrators and ask them to look into this issue. The site administrators may check the website certificate and fix the error from their end. Feel free to comment below.